I've selected two popular flavours for lil people below. Feel free to request certain coloured flowers and I will do my best to accommodate. Raspberry, vanilla bean and choc chunk. Vanilla bean sponge studded with raspberries and chunks of dark whittakers chocolate. Iced with raspberry buttercream. Garnished with raspberry twists, pinky bar bits, and fresh flowers. GF option available. Banana, caramel, hokey pokey. 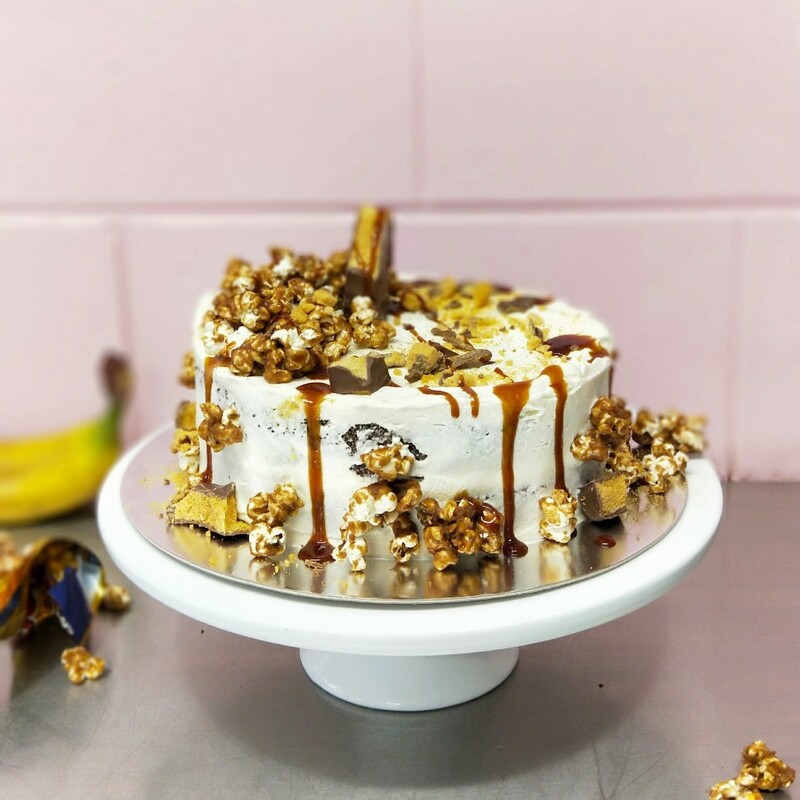 Best selling gluten free banana cake, covered with caramel buttercream and drizzled with salted caramel. Garnished with smashed crunchie bars, popcorn, and fresh flowers.